Is this BP Aqueous Cream? This is not BP aqueous cream. 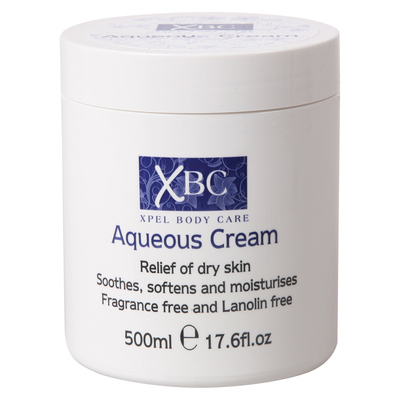 A versatile moisturising option for both adults and children, our Aqueous Cream is an essential addition to your store cupboard. Non-greasy and ideal for those with porous skin, this 500ml tub can be used all over the body and provides soothing relief for all levels of dry skin. An ideal choice for those who suffer from eczema or psoriasis, Aqueous Cream can also be used as a soap substitute as it both cleanses and prevents the skin from drying out after a shower or bath. Alongside our Aqueous Cream, we also provide E45 Cream 50g for adding moisture to dry skin and Dry Wipes which can be used for applying creams directly to the site required.